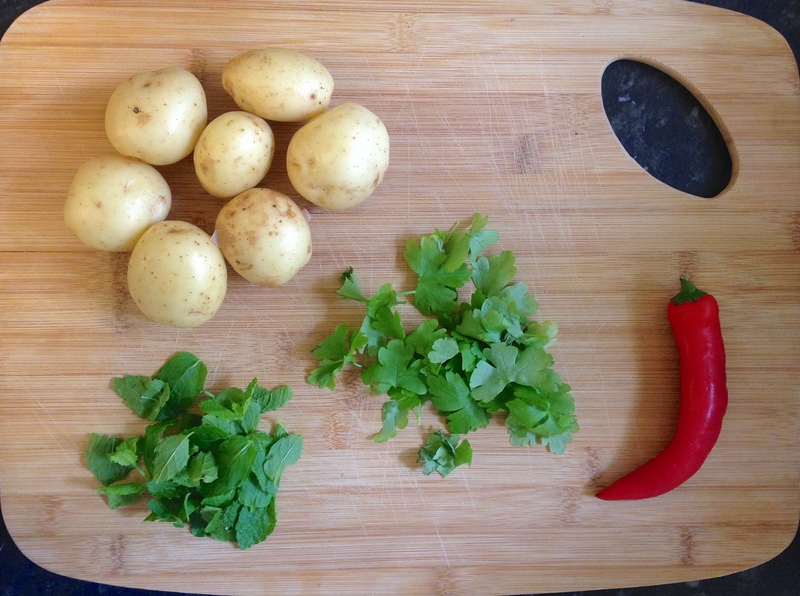 I really love this quick potato recipe, potatoes can be dull if just plainly boiled so I think the addition of chilli and fresh herbs in this recipe is a great idea. This is also a good way to use up any leftover soft herbs and chillis you have knocking about in your fridge. 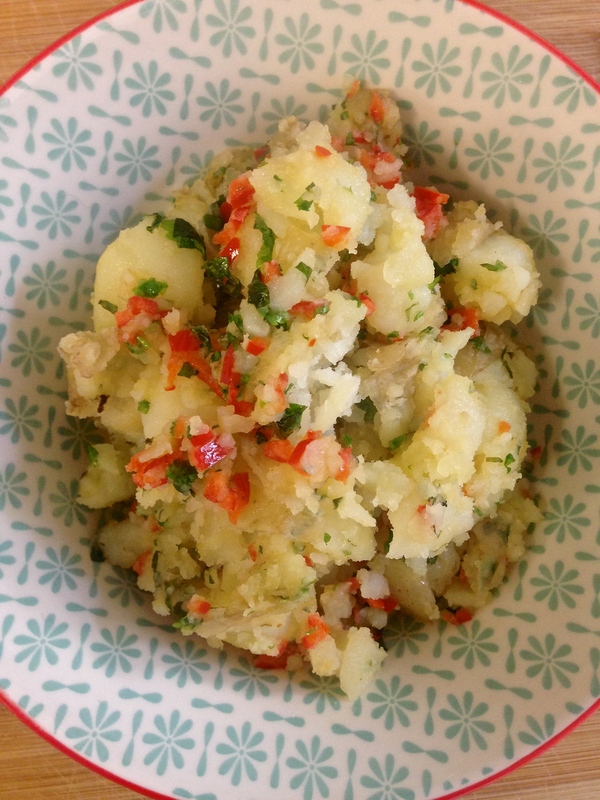 I’ve used extra virgin olive oil instead of butter to add some extra flavour to the potatoes for a fresher feel, not quite as rich and perfect for summer dishes or even as a side dish for a BBQ. Put the potatoes in a saucepan and just cover with cold water, bring to the boil and boil for about 15 minutes or until you can pierce the potatoes all the way through with a fork. 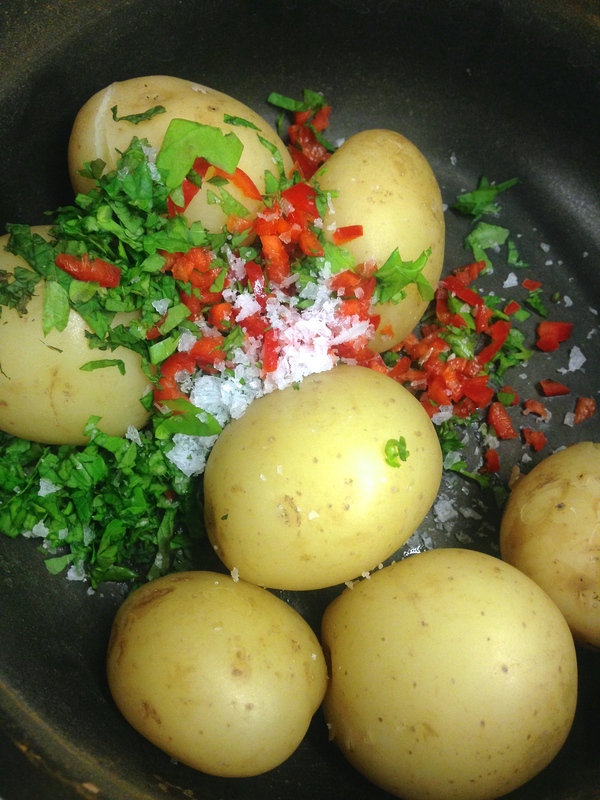 Once the potatoes are cooked, drain and put them back in the saucepan ready to be smashed. Add the chopped chilli, herbs, a generous pinch of sea salt and a sprinkle of pepper. Use a masher to roughly mash the potatoes to your liking. Splash in a drizzle of olive oil and season to taste. Very simple but delicious, I’d love to know if you try this recipe so please comment if you give it a go!